Intensively hydrate and soothe sensitive skin with this fragrance free moisturiser, formulated with Chamomile, Shea Butter and Vitamin E which will leave even the most sensitive skin feeling soothed and moisturised. Aqua (Aqua), Panthenol (Provitamin B5), Glycerin*, Simmondsia Chinensis (Jojoba) Seed Oil*, Hydrogenated Lecithin*#, Sucrose Stearate*, C12-16 Alcohols*, Palmitic Acid*, Sorbitol*#, Tocopheryl Acetate (Vitamin E), Squalane*, Mannitol*, Persea Gratissima (Avocado) Oil*+, Bisabolol, Echium Plantagineum Seed Oil*, Phenoxyethanol, Xanthan Gum*, Glyceryl Laurate*, Sodium Gluconate*#, Phytosterols*, Sodium Hydroxymethylglycinate, Ammonium Glycyrrhizate*, Butyrospermum Parkii (Shea) Butter*+, Olea Europaea (Olive) Fruit Oil*, Citric Acid*, Thioctic Acid, Ethylhexylglycerin, Lecithin*, Tocopherol*, Fusanus Spicatus (Sandalwood) Wood Oil*, Ascorbyl Palmitate*, Caprylic/Capric Triglyceride*, Caffeine, Aesculus Hippocastanum (Horse Chestnut) Seed Extract*, Zinc Gluconate, Hydrogenated Palm Glycerides Citrate*, Chamomilla Recutita (Matricaria) Flower Extract*, Beta-Carotene*, Farnesol*. 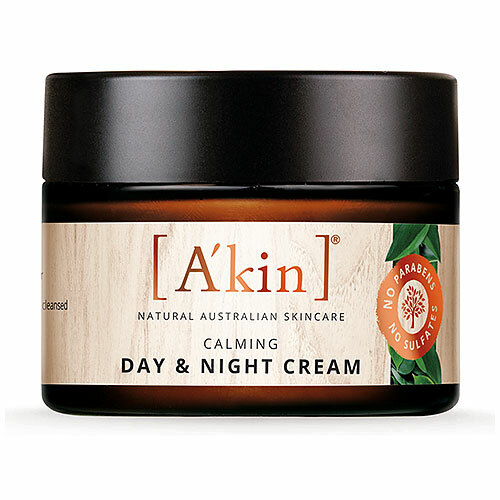 Below are reviews of A kin Calming Day and Night Cream - 50ml by bodykind customers. If you have tried this product we'd love to hear what you think so please leave a review. 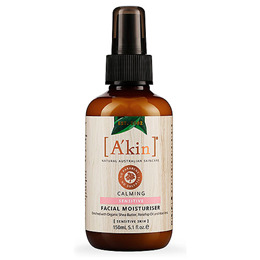 I've been using A'kin products for a while and very pleased with them. I bought this moisturiser first time as I needed something to treat my skin kindly through a period of redness and sensitivity. I wear it over my usual oils, it's got quite a light texture and absorbs well. My skin liked it!